New Zealand’s Mount Tongariro has erupted again, having rumbled back to life in August after more than a century of quiet. The volcano, in the North Island, sent a column of ash at least 2 km (1.25 miles) into the air, scientists said. There were no immediate reports of injuries, but hikers and a group of school children were being moved out of the national park. Before the August activity, the 1,978m (6,490 ft) peak last erupted in 1897. The latest eruption happened at around 13:25 local time and lasted for around five minutes, experts said. A release from the Ministry of Civil Defence said “minor volcanic activity” was occurring at the Tongariro – Te Maari craters and “could be hazardous in the immediate vicinity of the craters”. “Light volcanic ash fall can be anticipated downwind of Tongariro,” it said, potentially affecting the Waikato, Hawkes Bay, Gisborne and Bay of Plenty areas. 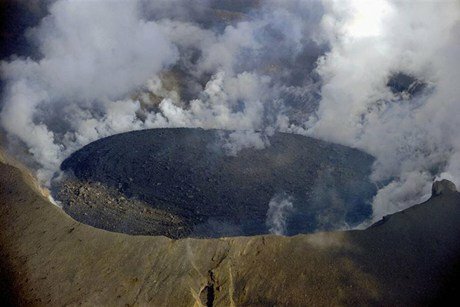 Air New Zealand said it did not expect delays or cancellations as a result of the eruption, based on current information. It was “working closely with the relevant authorities to keep up to date with ash movement and forecasts” and would adjust flight routes if necessary.